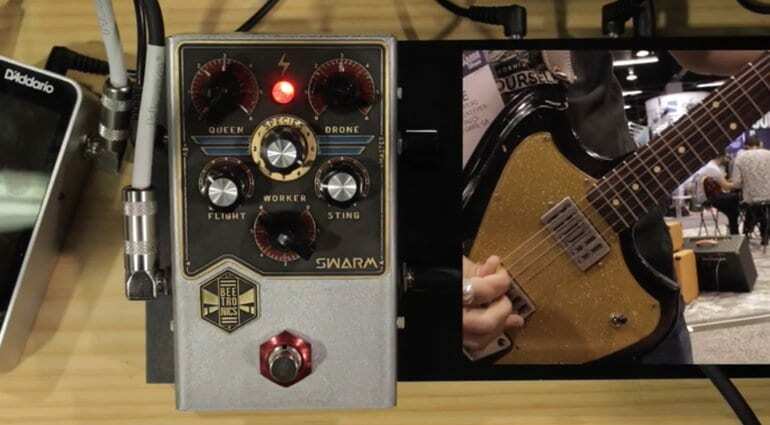 We love Los Angeles based Beetronics pedals here at Gear News and their latest release getting shown off at Winter NAMM is the new Swarm Fuzz Harmonizer pedal. 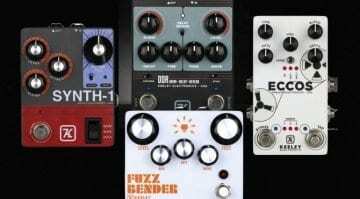 This new pedal features some pretty smooth, yet industrial fuzz tones, with a really nice musical quality to them, it isn’t tame by any means. 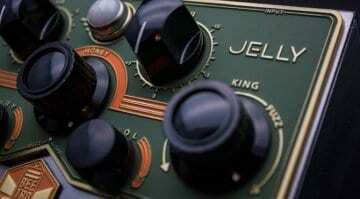 But when you kick in the harmonizer effect it really does drip like honey. The layout controls are labelled Queen, Drone, Worker, Species, Flight and Sting. You also get a Master output level control on the side of the pedals. As usual with Beetronics, it looks amazingly well built and like a little work of art. 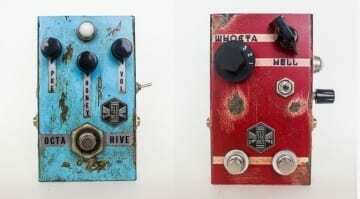 The Worker control is essentially your straight fuzz tone and the Queen and Drone controls are used to dial-in your low and high harmonies. Species gives you different harmony options and finally, Flight and Sting interact to let you make it glide and go a little wild! It will not be out for a few months and there is no price at yet, but you can hear a nice demo of it below from the 60 Cycle Hum YouTube channel. 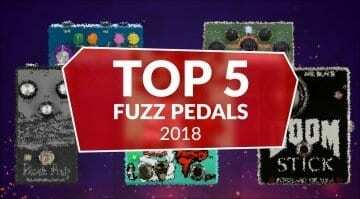 You can hear Felipe the pedals creator take you through its fuzz tones in detail.